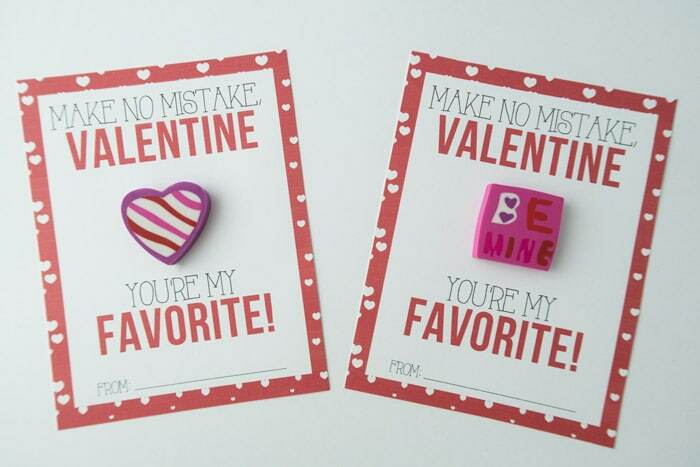 If you’re looking for a non-candy Valentine for your child’s classroom, these eraser classroom valentines are perfect! 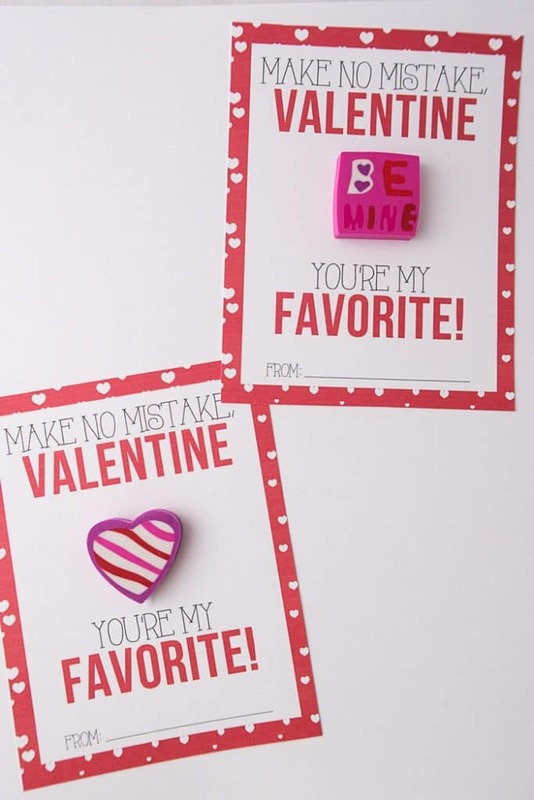 Use our simple printables, a hot glue gun, and erasers from your local Dollar Store to create fun classroom valentines in no time flat. Kids get SO much candy on every holiday. 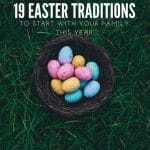 And while I really don’t mind the classroom treats the children get on Valentine’s Day, Easter, Halloween, Christmas, etc., I know some parents would like to see some candy alternatives. After all, there are only so many sugar-fueled hours you can take without losing your sanity, right? Well, we’ve made some eraser valentines that will be great for exchanging with classmates. 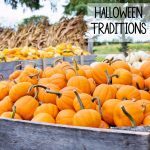 No candy… it’s something the kids can use… win-win, right? Full disclosure: I saw this idea several years ago from Liz on Call. I bought erasers the same day I saw them (in 2015, mind you), and never got around to making ours. Instead that year, I made some cute sports valentines that turned out to be a huge hit. But, in true crafter/hoarder form, I saved the erasers for nearly three years and finally made our printables today. My son’s favorite color is red, so he wanted all red everything. There’s even a little line at the bottom so your kiddo can write his/her own name on them after you put them together. We’ll be adding a pencil valentine printable sometime in the next week or two, so they’ll be perfect to pair with these erasers if you’d like to do a little more. 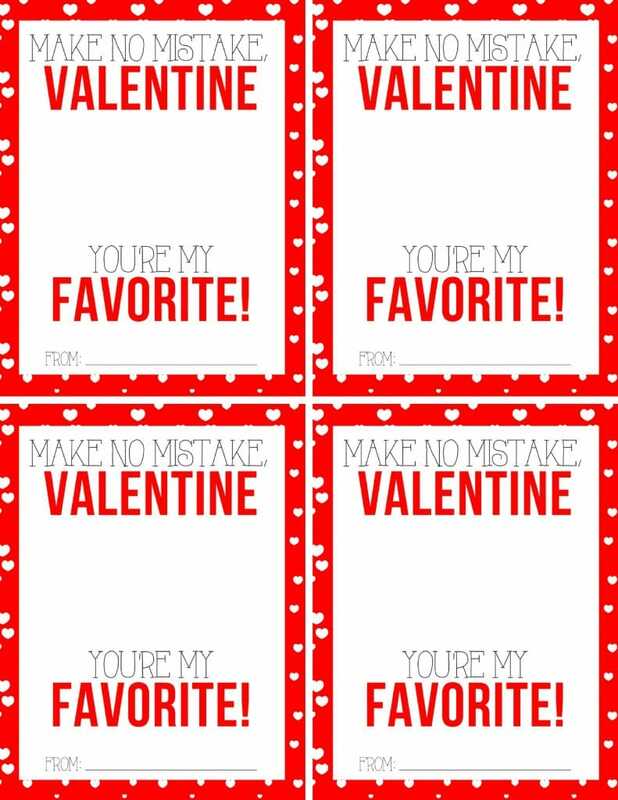 To print your Eraser Valentines Sheets, click HERE or on the image below. 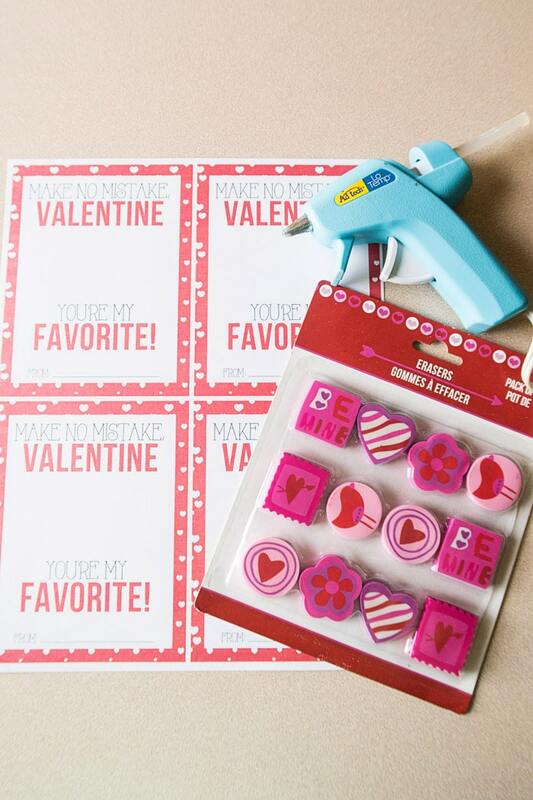 After you’ve printed the valentines, you’ll need your Valentine erasers, a hot, glue gun and scissors. I forgot to include scissors in the picture, but you get the idea. Just put a little dab of hot glue in the center of each card, press the eraser down on it, and give it about a minute to dry. BOOM! You’re all set. 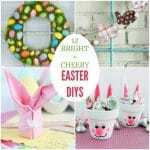 If your kid wants to help you put these together, make sure you’re using a low-temperature hot glue gun for safety purposes. 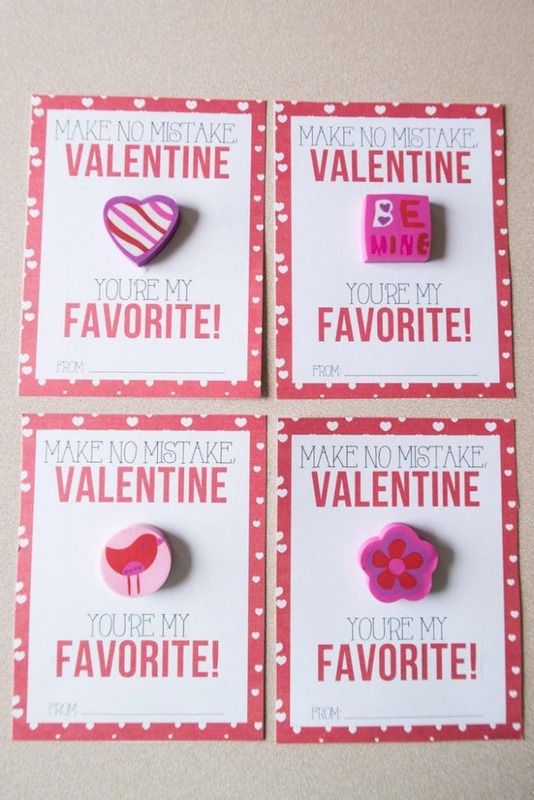 Looking for more cute valentines for kids? 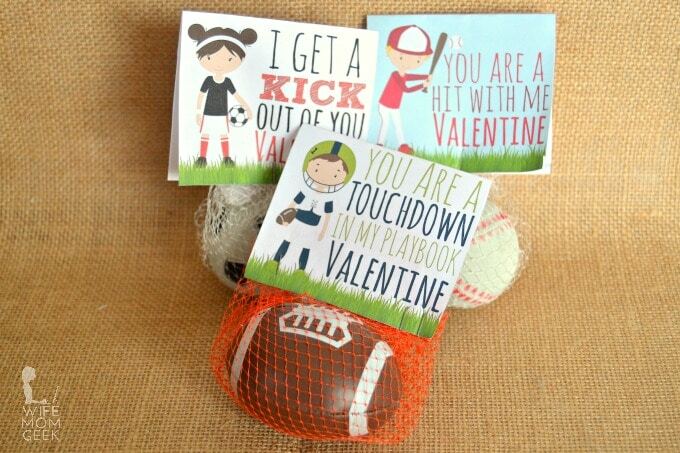 Try our sports valentines with soccer, basketball, football, and baseball options! 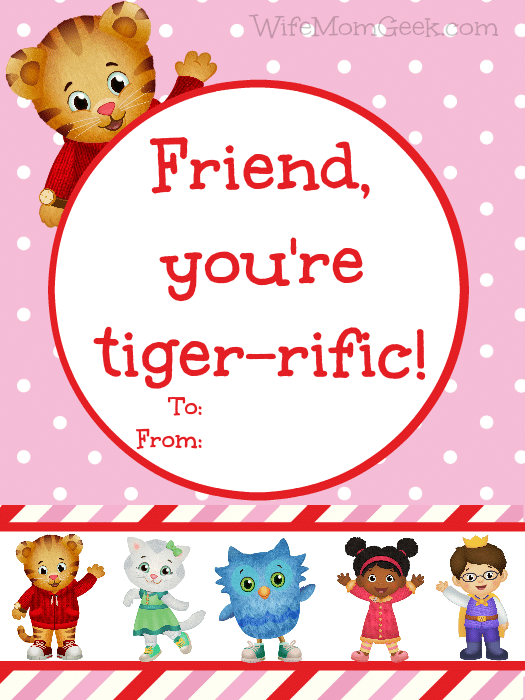 Our Daniel Tiger valentines are great for toddlers and preschoolers! For even MORE ideas, check out our list of 101 Non-Candy Valentines and my friend Kristi’s list of 31 Printable Valentines!